Huawei had an incredibly successful start of 2016 and gained market share in the smartphone segment. It now looks poised for further gains as it launches the Nova series of phones. Huawei Nova and Nova Plus are the two new phones in this series. Most of us are familiar with Huawei’s various series. 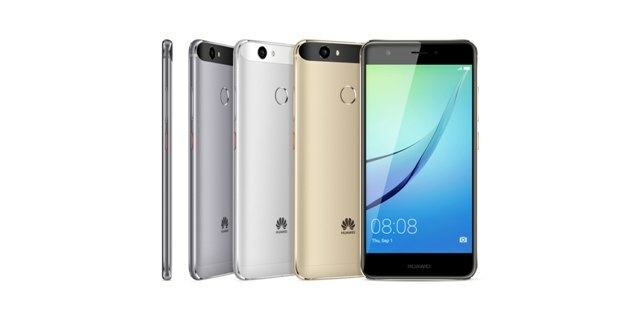 The most popular series presently is the P-series carried by the immensely popular Huawei P9. The Honor series also sells really well. In addition, The Y, Mate and GR series all have their fans. The new Nova series, therefore, becomes Huawei’s sixth series. Huawei Nova is a 5.0-inch phone with a Full HD curved display. It’s powered by a 2.0 GHz Snapdragon 625 processor and 3GB of RAM memory, which makes it a speedy phone. Nova has a battery capacity of 3,020 mAh. The time between charges is extended through Smart Power 4.0 technology. The front camera has a resolution of 12 MP with 1.25μm pixel. Furthermore, the capabilities of the camera are enhanced with a wide-aperture lens, which improves the performance in low-light environments. The front camera features 8 MP resolution. The video records in 4K format. There’s only one 32 GB storage option available. The camera has optical image stabilisation. Chinese consumers can already purchase Huawei Nova online through some of China’s largest eCommerce platforms (Tmall and JD.com). The worldwide roll-out commences in October. Huawei has set the recommended retail price (RRP) in Europe for Nova to EUR 399 (NZ$600). The Nova Plus carries an RRP of EUR 429 (NZ$645).